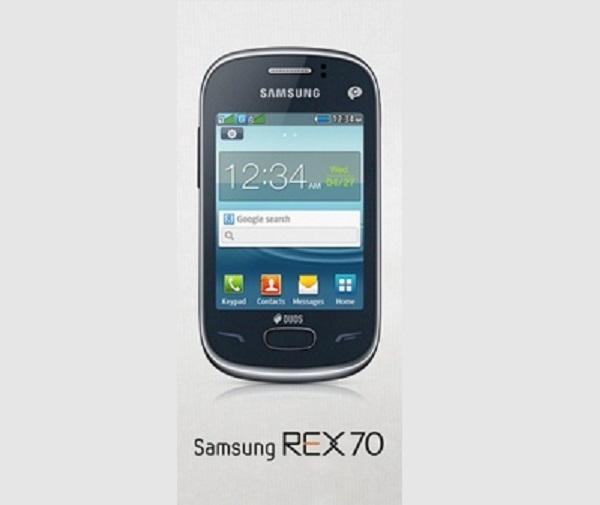 Samsung Rex 70 is one of cheapest smart phone of Samsung mobile, Samsung Rex 70 is 2nd Samsung REX Series phone. Samsung Rex 70 also has all basic feature of smart phone. Samsung Rex 70 is dual sim phone which support 2G network. Phone has HOT Swap facility for SIM changing means there no need to switch off the phone for SIM Cange. For the connectivity the phone has WI-FI, USB, Bluetooth etc. Phone has Facebook, Twitter and GTalk apps.